Venerable coffee brand Eight O'Clock Coffee has been given some new clothing. The 154 year old coffee brand has redesigned its packaging and launched some -- yes, it's true -- fashion-related promotions. 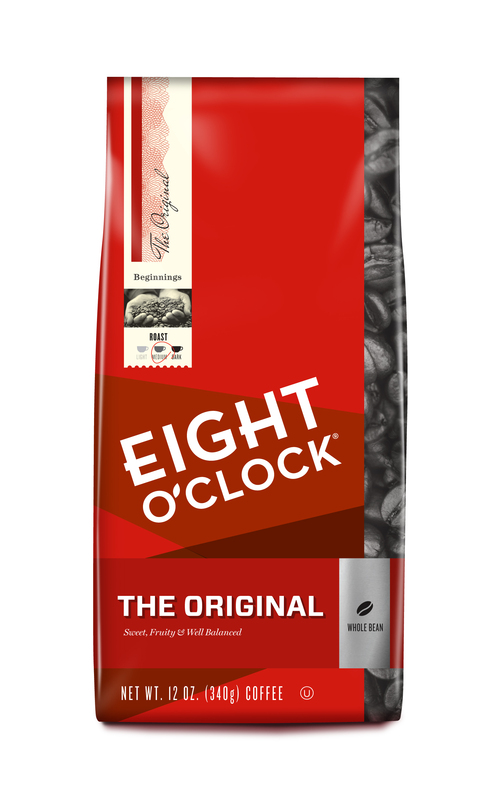 One such program, Spot the Red Bag, begins today and encourages people to submit pictures of red bags, whether it's the newly design Eight O'Clock Coffee packaging or or a swanky red bag spotted on the runway during Fashion Week. Or even a red bag spotted on the street. All for a chance to win a trip to New York Fashion Week in February. Pictures can be uploaded to Instagram and given the #SpotTheRedBag hashtag. A second program will, no joke, involved designers showcasing Eight O'Clock Coffee-inspired handbag designs during this Fall's Style360 during New York Fashion Week. Coffee packaging as high fashion. That's a new one on us. But an interesting approach none the less. It was quite hilarious (though completely expected if you are a customer and have ever dealt with them through any communications medium) when Bank of America's Twitter bot (or idiot who runs the account) had multiple brain farts when assuming non-customers where customers. It's entirely another thing when a brand is so stupid that it actually apologizes to a customer who just heaped praise on the brand. 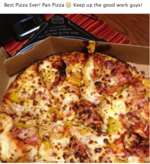 On Wednesday, a Domino's customer posted a picture of a Domino's pizza on the brand's Facebook page along with the statement, "Best Pizza Ever! Keep up the good work guys!" Established in 2005 by Michael and Xochi Birch, sold to Yahoo! in 2008 for $850 million and recently bought back by its founders for $1 million, Bebo is back. 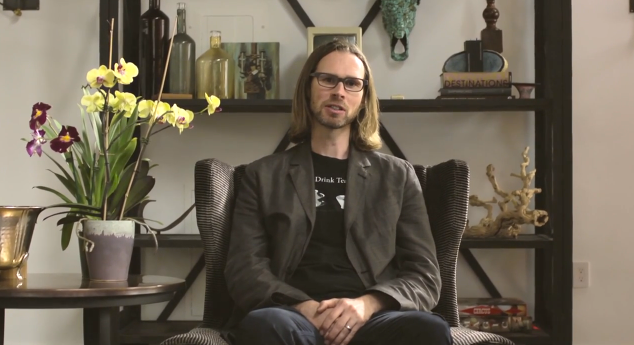 Yesterday, the site relaunched with a "ballsy" video featuring founder Michael Birch. It is confirmed. Humans are wild animals with very strange habits. This new campaign from Chiel and production company six01 use the nature documentary approach to examine the "tabitat" of the (obsessively) connected generation. 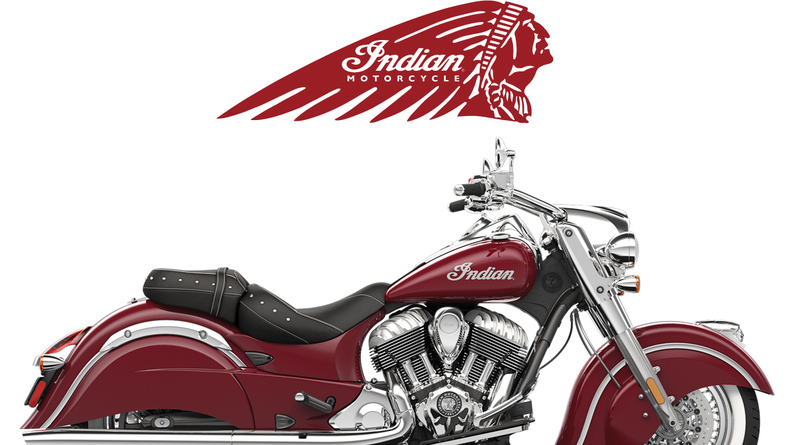 If you're not familiar with American motorcycle history, you may never have heard of Indian Motorcycle. Up through World War II, Indian Motorcycle was a popular motorcycle brand. In 1953 it went out of business leaving the just one American bike maker standing, Harley-Davidson. In 2011, Polaris Industries purchased the dormant brand in 2011 and introduced its first new bike in 50 years with the 2014 Indian Chief. - AOL has agreed to buy Adap.tv for $405 million allowing AOL to expand its video advertising offerings. - Dish Network Chairman Charlie Ergen -- whose company has 35-plus broadcast stations off the air in a fee dispute -- expects more blackouts, with programmers continuing to raise prices for carriage rights. - According to the Alliance for Audited Media, formerly the Audit Bureau of Circulations, total magazine circulation fell 1% from 292.9 million in the six-month period ending June 2012 to 289.9 million in the six-month period ending June 2013. In advance of its planned September 4 rebrand, Yahoo! will release 30 versions of a new logo over the course of the next month. Called "30 Days of Change," the brand will release one new logo each day. Of the move, Yahoo! CMO Kathy Savitt said, " It's our way of having some fun while honoring the legacy of our present logo." - This weird little Mentos video with an oddly catchy tune aims to garner support for a proposal that would solve Singapore's land crisis. - These McFlurry-loving women need better lipstick. - IPG Mediabrands has launched a new unit that further blurs the line between media and creative agencies. Called Mediabrands Publishing, it will create videos and other quick-turnaround content for marketers that will live in the physical and digital worlds. The digital content will be distributed on websites and social media platforms such as Twitter, Facebook, Instagram and Vine. Yesterday in Moscow, Samsung announced that global sports icon and four-time Grand Slam title winner Maria Sharapova was named as its brand ambassador for the Sochi 2014 Winter Olympics. In this role, Sharapova will work with Samsung to promote sporting and Olympic ideals as well as help raise awareness for Samsung's Sochi 2014 sponsorship. The company also unveiled its Samsung GALAXY Team Russia for Sochi 2014, which features NHL All-Star and 2009 Stanley Cup champion Evgeni Malkin. The Samsung GALAXY Team is one of Samsung's key initiatives around the Olympic Games, aimed at promoting the Olympic Movement and providing "direct contact" between Olympians and their supporters around the world. Cheesy is really the only word that can be used to describe this Mercedes-Benz Service song sung by Patricia Meeden. Cheesy still photography. 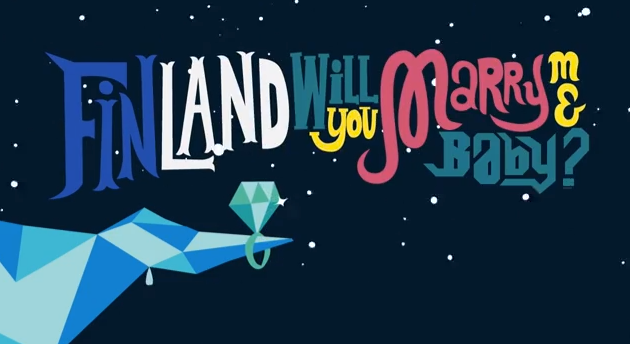 Cheesy lyrics that proclaim double entendres like a 40-year-old woman trying to pick up an 18-year-old dude. And cheesy strategic thinking from a brand one normally associates with upstanding elegance, not veiled bathroom humor from a 14-year-old boy telling "smell my finger" jokes to his best friend between classes.